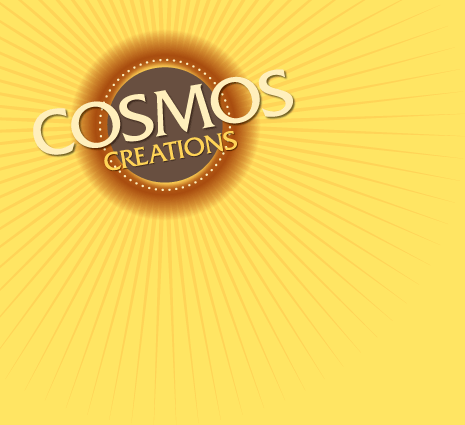 NEW LOOK – SAME RECIPE! This is tradition with a twist. Our Sea Salt & Butter Creation is made for the purist. With just a touch of buttery flavor and real sea salt, you get the best of classic flavors in every original bite. 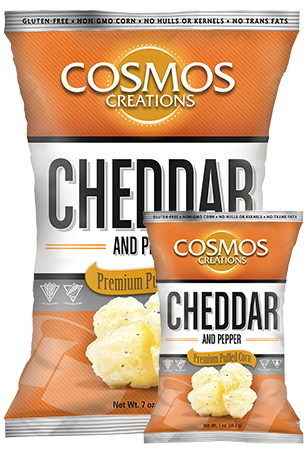 Pure, natural* ingredients combined to make a snack that’s deliciously addictive. For generations, people around the world have revered the coconut as a valuable source of food and medicine. 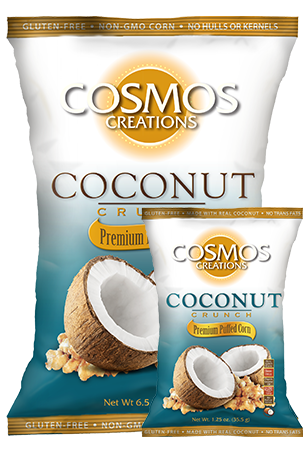 We revere it for the richness it brings to our Coconut Crunch. What begins with our simple caramel recipe turns into something extraordinary by adding just the right amount of coconut oil and a generous sprinkle of pure coconut shred. Two flavors that blend seamlessly together to send your senses on a sweet escape. Pure, natural* ingredients in a snack that’s deliciously addictive. It’s a little sweet. It’s a little salty. It’s a lot fantastic. 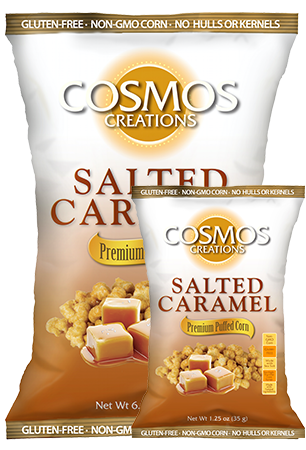 When caramel and sea salt come together to make all your taste buds come to life, you’ll think the stars have aligned. Oven-baked non-GMO corn with just the right amount of salted caramel. 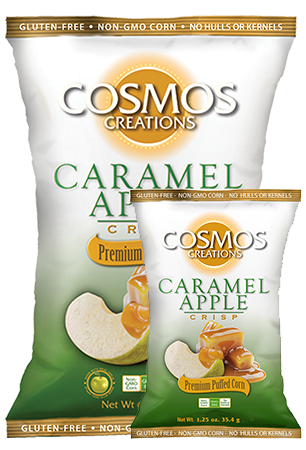 Pure, natural* ingredients combined to make a snack that’s deliciously addictive. Made up of peppers, garlic and a hearty blend of spices, Sriracha hot sauce could be the most delicious condiment known to man. Its allure is undeniable. 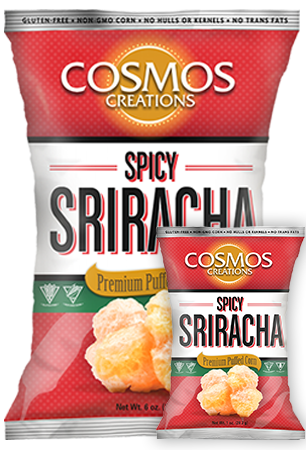 Sriracha provides just the right amount of flavor to keep your tongue sizzling after each bite. Flaming seasoning inspired by the legendary sauce – it’s spicy, peppery and of course, super tasty! 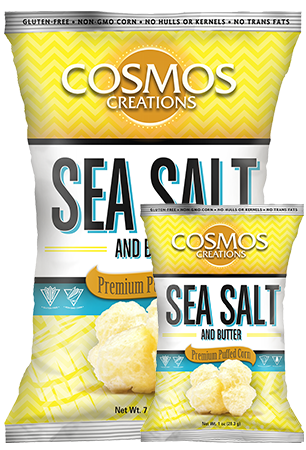 Pure natural* ingredients combined with our premium puffed corn to make a snack that’s deliciously addictive.